Catherine's father, Edmund, the youngest son Thomas Howard, 2nd Duke of Norfolk, and youngest brother to other Thomas Howard, the 3rd Duke of Norfolk, certainly considered the family as holding him back. Antonia Fraser, in her book makes it quite clear that he was inhibited by his aristocratic birth from making the efforts suitable to those of a lesser degree. She went on to quote him as saying, "If I were a poor man's son, I might dig and delve for my living"; Alison Weir does not make it clear from where she found his thoughts and quotes but I do tend to agree with her. His eldest son Henry Howard (eldest brother to Catherine) on the death of Catherine Howard disappeared into the Norfolk countryside near the Suffolk border with family and spent the rest of his life living the simple life. Therefore making me wonder if the thoughts of Edmund were an influence on his son, Henry. Lord Edmund Howard married three times, the first, Joyce Culpepper, with whom he married circa 1515; secondly to Dorothy Troyes and thirdly Margaret Jennings. Each of his wives were widows with Joyce's first husband being Ralph Legh. Joyce Culpepper's father was Richard Culpepper of Oxenheath in Kent. She did have contact with her family and it was from here that Catherine found a portion of love. Therefore when Joyce died, Catherine, aged 9 found herself without any close family. Imagine for one moment how it would be for any 9 year old to lose their mother. Her father was never around and gave no parental support at all and as mentioned earlier, remarried. This unfortunate, tiny young girl, isolated from the real world by a twist of birth fate without the opportunity of education or a stable home was now alone and vulnerable. Her life, as she knew it, was shattered and her uncle, Sir Thomas Howard, 3rd Duke of Norfolk compounded the situation by having her moved to her paternal step grandmother's home. Agnes, the Dowager Duchess of Norfolk at Chesworth near Horsham in Sussex and also of Lambeth, was to be her charge and benefactor. For the first few years of Catherine being at the Duchess's house most of the training was around the knowing of court gossip. It was certainly known that King Henry VIII was "seeing" Anne Boleyn. This was often talked about because Anne Boleyn was a first cousin to Catherine Howard and Step Grandniece to the Dowager Duchess. The year 1533 was an exciting one for the household as King Henry VIII married Lady Anne, Marquess of Pembroke on Jan 25. Later in the year on Thursday 29 Jun Lady Anne was brought into the city of London for her coronation. When the Duchess came back from the coronation she was met with wide eyes on the young ladies wanting to hear all that had happened, and most of all, "what was she was wearing?". The Duchess proceeded to tell them Lady Anne walked into the Westminster Abbey under a rich canopy of cloth of gold, dressed in a kirtle of crimson velvet decorated with ermine, and a robe of purple velvet decorated with ermine over that, and a rich coronet with a cap of pearls and stones on her head. The Duchess then explained that she was carrying the Queen's train wearing a robe of scarlet with a coronet of gold on her cap, and Lord Borough, the Queen's Chamberlain, supported the train in the middle. To a 12 year old girl, this was what dreams were made of. Catherine had never known a strong father image in her life and therefore longed to be married, safe and secure. One could imagine she would not hold out much hope as her own father was never around, the Duke of Norfolk was known to have a mistress in Bess Holland, the King had divorced his first wife and remarried. Her dreams would have been shaky, to say the least, by the reality of her life and her experiences. The year 1536 was another period in Catherine's life that would stand out. Her cousin Anne Boleyn was executed on the 19 May having a disastrous effect on the household as the Howard Family was now "in shame". To a 15 year old woman this could do nothing to ease her fears. By now she had been having music lessons under the tutorage of Henry Mannox, the son of a neighbour at Horsham in Sussex, George Manox. As could be expected, emotions became aroused and Catherine found herself becoming infatuated with him. Catherine desperately needed stability in her life and was easily charmed by him. Although they never formed any physical bond he was certainly making use of her status in securing himself a partner of high birth. Mary Lascelles, a nurse to the children of Lord William Howard and his first wife, Catherine Broughton. When Lady Howard died on 23 Apr 1535, Mary entered the service of the Dowager Duchess as a chamberer. She became alarmed by the attention paid Catherine by Manox, and took it upon herself to warn Manox that Catherine’s relatives would “undo” him if they found out. Manox told Mary Lascelles to mind her own business and boasted that Catherine had promised him her maidenhead. He followed her to London and found employment in the Duchess's household, but he was not considered a proper match for her and was subsequently pushed aside. Francis Dereham on the other hand, certainly knew how to play the game of courtship. He was a "Gentleman Pensioner" of the household. Therefore he had position but no title and may not necessarily have attended to the Duchess, but would have held some responsibility in running the household. Being a person of authority, he would very well have filled a gap in Catherine's desire for a strong male protector. He wooed her and they soon referred to themselves as "husband and wife". They exchanged gifts and a physical union did happen many times. Another of the Duchess’s servants, Alice Wilkes, told Mary Lascelles that Dereham spent his nights in Catherine’s bed. This is a perfectly normal reaction of the situation to which Catherine found herself and no blame should surely be placed on her. There was no way she was to know her future and she assumed marriage to Francis based on the mutual agreement. At no time was she aware of any wrong doing and it should be stated again, Catherine did not know she was doing any wrong. If any blame is to be placed, however, it must surely be on the shoulders of the Duchess herself. It was to her care Catherine was placed and it was her responsibility to ensure Catherine was safe and taught in the correct way of a person in her position. What finally ended this relationship was Henry Mannox. Out of pure jealousy he left a note on the pew in the chapel for the Duchess to read explaining what was happening between Catherine and Francis. The Duchess did find them embraced and gave a beating to Francis, Catherine and Joan Bulmer. Joan Bulmer and Catherine became very good friends and each had a romantic involvement. Joan's partner, also from the household, was Edward Waldegrave. When the secret was discovered the Duchess sent Francis Dereham from the house in shame and he moved to Ireland and became involved in piracy and later is was assumed, killed. Once again, Catherine felt betrayed by those that surrounded her. Life at the home of the Dowager Duchess changed soon after the incident with Dereham. The Duke of Norfolk became a frequent caller and he always asked Catherine to sit with him. Although she was never informed of anything, in her heart she fully understood she was being prepared for something. After the marriage of Anne of Cleves, the Duke of Norfolk moved Catherine Howard to his house at Lambeth. Once again she became acquainted with Thomas Culpepper. Thomas and Catherine were distantly related and it is considered they would be about 6th cousins once removed. Thomas's life was not, in some ways, dissimilar to Catherine's. He was also sent away at a very young age, however he was sent to be in the employ of the King as a Gentleman of the Privy Chamber. Whilst there he and the King became very close and it was Thomas who looked after Henry's leg, perhaps, to see that the physician's orders were carried out. It was known he slept in Henry's huge bed from a boy, and this did developed rumours of a sexual liaison. He had total control of, and was one of the most privileged gentlemen, within the Privy Chamber. Henry heaped him with gifts and even an abbey. Cromwell was out of favour with the King as his choice of bride was not a success. This was due to two issues; one, she was not the beauty the painting suggested, and secondly, the subsequent Protestant alliance with the Queen's brother was distasteful to him. The reason being, the King wanted his new faith to still hold onto Catholic teachings. A plot was unfolding to have Cromwell arrested as traitor to the King and the faith. This suited the Duke of Norfolk very well as he could now look toward having the Protestant Queen removed and hatch his own plan to have a catholic near the King. When Anne of Cleves's Flemish attendants went home, Catherine was introduced to her household as a lady-in-waiting. There the King saw her and fell in love. His attention was deemed a "pathetic infatuation", but most writers do believe he loved Catherine. At the time it would certainly be thought his marriage track record not very good at all. The age difference was huge with Catherine being 19 and Henry now into his 50's. He was bloated, ulcerations over his legs, and certainly not the fine figure he once held in his younger days. Contrary to popular believe, Henry did not need more children to secure his lineage. Edward was a healthy young child, Mary and Elizabeth both held dubious title to the throne, but none the less, an heir he already had. What he also had was political intrigue, ill health, reformation issues unresolved and he was tired. His life had been an uphill battle as he was not trained to be King and merely thrown into it on the death of his older brother Arthur. Of course not all his problems were the result of fate, and retrospectively he made many mistakes. However, to Catherine he found a renewed zest for life. She was his shining light, his "Rose without a thorn". Hence her badge was to depict this idealism he placed on her. Now to some political intrigue. Henry desperately wanted to divorce Anne of Cleves and marry Catherine Howard, who was rumoured to be pregnant. Cromwell needed the marriage to remain, however the Duke of Norfolk wanted it to end. Since Cromwell did use his power to secure the marriage and move the protestant faith into the court he quickly became deemed a traitor to not only the King but to the Church of England. Howard (Duke of Norfolk) had maneuvered his niece into position and was now the favoured choice of the King. Things, from here happened very quickly as Cromwell was arrested on 10 Jun 1540. He had no power left to stop the King and Norfolk. Cromwell never had a trial, could not defend himself, then beheaded on 28 Jul. The very same day, Henry was marrying his next wife Catherine Howard at Oatlands Palace in Surrey. A coronation never took place, thereby not allowing Catherine to be Queen in her own right. She was however, Queen Consort. There is debate as to why. It is both thought that the Crown was impoverished after war and the reformation process. Others argue that the King did not want to put Catherine into the glare of the public as she had been raised in the privacy of country living. Certainly both theories could be true and my thoughts would be that the sanctuary of the court was Catherine's preference given her insecurity of her childhood and youth. Catherine was treated with suspicion from many quarters. This was mostly due to her uncle and therefore she would have been considered, possibly, feeding him information. Howard certainly liked the position he had placed his niece as he could use that to the best of his ability. As for Catherine, she enjoyed the company of Anne of Cleves and the Princess Mary. Princess Mary was pleased a Catholic was now the wife of her father, no doubt she would have hoped he would do away with this reformation and return to the true faith and Catherine may have just been the one to do it. Being the wife of the King has its inherent dangers. One being, those from the past start making contact and asking for favours. Catherine felt very much on shaky ground when the likes of Joan Bulmer, Henry Mannox and Francis Dereham started making demands. It could be argued she simply gave employment to friends believing her position sound and safe, however it is more likely there was an alternative reason. Henry Mannox had already proven his treachery by leaving the note for the Dowager Duchess. Francis Dereham was no angel as he had been involved in piracy around the Irish coast and could very well be into a bit of blackmail. As for Joan Bulmer she knew things which could be the downfall of Catherine and therefore saw her opportunity. These three were highly devious people who would not stoop too low for their own gains. Her Lady in Waiting, Jane Parker, lady Rochford, was the widow of George Boleyn and instrumental in the arrest of Queen Anne Boleyn and very much a person not to be trusted. Here was Catherine surrounded not by three, but four very dangerous people. Catherine had three friends; her brother, Henry, his wife Anne, and Thomas Culpepper. 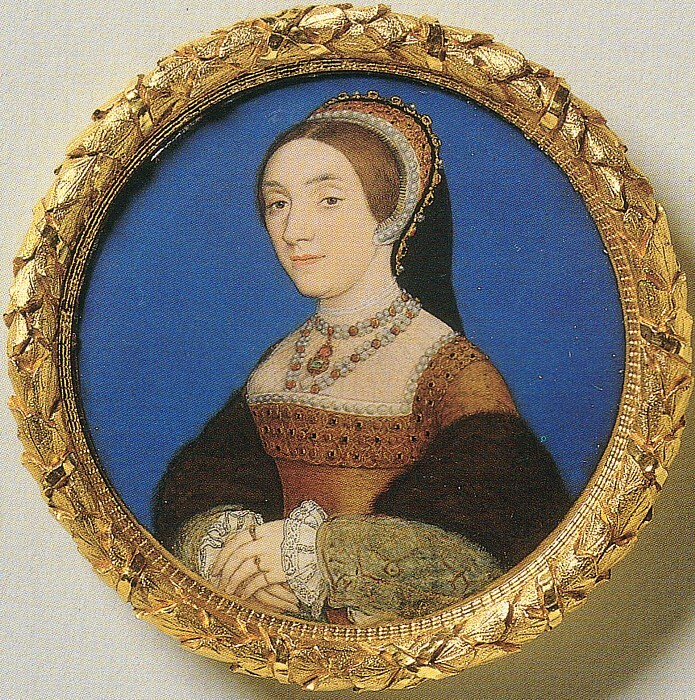 Catherine Howard, a first cousin of Anne Boleyn, was fifteen or sixteen when she married Henry. She was lively, pretty and kind, and Henry saw her as perfect and unspoiled, a "rose without a thorn". However, Mary Lascelles brought the new Queen's past to the attention of Thomas Cranmer. Mary had wed a man named Hall and was living in Sussex. When John Lascelles, suggested his sister that she use her old acquaintance with Catherine to obtain a post at court, Mary refused, telling him that Catherine was “light, both in living and conditions”. When she provided further details, Lascelles, a dedicated reformer, felt compelled to repeat what she had said to Archbishop Thomas Cranmer. Cranmer shared the information with Lord Audley and Edward Seymour, Earl of Hertford. The Earl of Southampton was sent to Sussex to collect Mary’s testimony. This alone made Catherine ineligible to marry the King. She had also been involved with her music teacher, Thomas Culpepper, and as Queen she resumed her relationship with him. The King and Catherine were in the Chapel at Hampton Court Palace preparing for the service when Henry VIII is requested by the Archbishop of Canterbury, Thomas Cranmer for an audience. The King was not pleased at being interrupted and was shown papers to prove the case on Catherine's previous involvements and that she was still seeing Thomas Culpepper privately. None of this information was new to the King and he was not about to believe the lies that were being spread about his wife. There is no knowing why Henry VIII chose to believe them this time, but believe them he did. He was shown letters in Catherine's own hand writing that were interpreted as admission. Letters which were supposedly written by her own hand to Thomas Culpepper and what makes this incredible is that she was known to be illiterate. She did have scribes, however, but there is no evidence to suggest she knew of, or dictated, these letters. Certainly no letters have ever been produced since that contain evidence of admission of guilt. The King immediately went to his private chamber and gave instructions that Catherine was not allowed to see him. The interesting thing here is that her own uncle, the Duke of Norfolk, turned completely against her. He was with the King when the news was given and even went so far as to suggest Catherine should be burnt alive for what she had done. The King was so outraged and humiliated he did draw his sword and intended to cut the throat of Catherine, however Cranmer did manage to calm him down. It could be assumed the Duke of Norfolk's only focus now was to save his own life, position and land. It was he who visited Catherine in her rooms at Hampton Court Palace and read out loud the Charge Papers. "My Lady Catherine Howard. You have been charged with treason. The grounds for this charge is that you entered into marriage with His Royal Highness, King Henry VIII having knowledge of a previous betrothal to both Henry Mannox and Frances Dereham. It is also stated that you employed these persons, here at the Palace, with the full intention of continuing this sordid lifestyle. You have, not only brought shame upon your name, but have grievously sort to destroy His Majesty the King. It will be in your best interest to admit to these crimes and plead for his mercy". "I am innocent of all charges and will never admit to these lies. If there is any ground of truth in these statements, then it is because of childish ignorance and the evil companions with whom I was formally surrounded. I also seek to state, that I am faithful to the King and would never wish harm upon him. I will seek his mercy, but not by admitting to these treacherous lies". Upon being told of her arrest she was immediately held captive in her private chambers. Catherine demanded to see the King and was refused and at one point did escape and ran screaming down the hall but to no avail. She was then dragged back to the rooms and then informed the King had left for Oatland Palace and stayed there until her execution. Of all the places the King could move to, it does intrigue me why he chose the place where he married Catherine Howard. This, in my mind does suggest his love for her in that, he wanted to remember the happy moment when she became his wife. It is known the King loved Catherine and would have gladly have forgiven her, however there were more powerful forces at work and he believed his only actions were to agree to the trial and accept the outcome. The King asked Cranmer to seal an admission from Catherine in order that it be done in such a way to ensure a pardon. That way, in Henry's thoughts, the whole nightmare would fade away and he could be reacquainted with his wife. This even more establishes his love because where else better to be reunited with her, but in the place of the betrothal. Cranmer certainly could have welcomed this process as he could use it to his own end as Catherine was a Catholic and very much favoured by Princess Mary. Therefore her religion and friendship with the Princess Mary could have been viewed as a threat. Therefore on the morning of 4 Nov 1541 he sought to carry out his order from the King to obtain a testimony from Catherine and Lady Rochford. This Catherine knew and therefore did intend signing a declaration clearing her name. 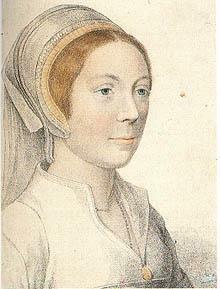 Lady Rochford was also informed by Cranmer if she could prove the guilt of Catherine then her own life would be spared. Intrigue was happening all around Catherine and unfortunately she was without any support from family or friends. Any she had disappeared very quickly for fear of incrimination. Catherine was in the perfect situation to be dealt a fatal blow without even seeing it coming. When Cranmer spoke to Catherine he confirmed to her the King was considering a pardon. Given that Catherine throughout her life was in desperate need of a father figure, she quickly became easy prey for the likes of Cranmer. He composed himself to a fatherly stature, therefore gaining her confidence. Slowly he sat down and charmingly drew a confession out of her in the belief those actions would be saving her from, not leading to, the Tower. Lady Rochford did not help in any way as she had other plans in mind. She believed she was assisting in her own acquittal and assisted Cranmer in every way she could. Slowly he had Catherine admitting to her friendship with Mannox denying any physical touching. She did admit to her involvement with Francis Dereham and how it had been stopped by the Dowager Duchess and that he had been sent away. She also admitted her feeling toward Thomas Culpepper and that Rochester had arranged it. This Rochester did not expect and suddenly realised her own life was now in danger. Rochester tried to deny this, but it was too late. The trap was set as now Cranmer had both women in line for the Tower of London. The interesting thing here is that Lady Rochester played an enormous part in the arrest of Catherine's cousin, Anne Boleyn. In some eerie scenario she was almost being revenged for her previous contriving. After the confession, Catherine was then asked to sign it. Once again, there is no evidence to suggest she knew conclusively what she was signing. Soon after Catherine was stripped of all jewellery and clothing then taken to Syon Abbey in Middlesex. Here she would be held as prisoner until the outcome of the trial and if found guilty taken to The Tower of London to be executed. Lady Rochford was taken to Beauchamp Tower at the Tower of London to force a full confession and likewise, Dereham and Culpepper were also taken to the Tower and tortured. Everything was in place to secure the removal of a Howard from the high political position they enjoyed. Catherine's life meant nothing to them, either by those who sought to destroy her or by her own family who were strictly into damage control. Her uncle, the Duke of Norfolk by now wanted to be rid of Catherine as quickly as possible. His plotting may have saved him temporarily, but Henry VIII was to imprison him later and the attainment was secured. His life was spared however, as the King died the day before the execution and, in keeping with tradition, all prisoners of the King released. Many people were brought for questioning and imprisoned in the Tower of London. Her Lady to the bedchamber, Anne Howard (wife of Catherine's brother Henry), the Dowager Duchess of Norfolk. Henry Mannox, Francis Dereham and Thomas Culpepper were also brought in and imprisoned. Whether she was or was not guilty of adultery and treason could be debated forever unless new evidence is produced. For a short life she suffered more than any human should. In time, of course, her infidelity was discovered and she was arrested. Henry ordered that she be sentenced to death by Act of Attainder, allowing his seal to be fixed in absentia. In Dec of 1541 Dereham and Culpepper were executed. 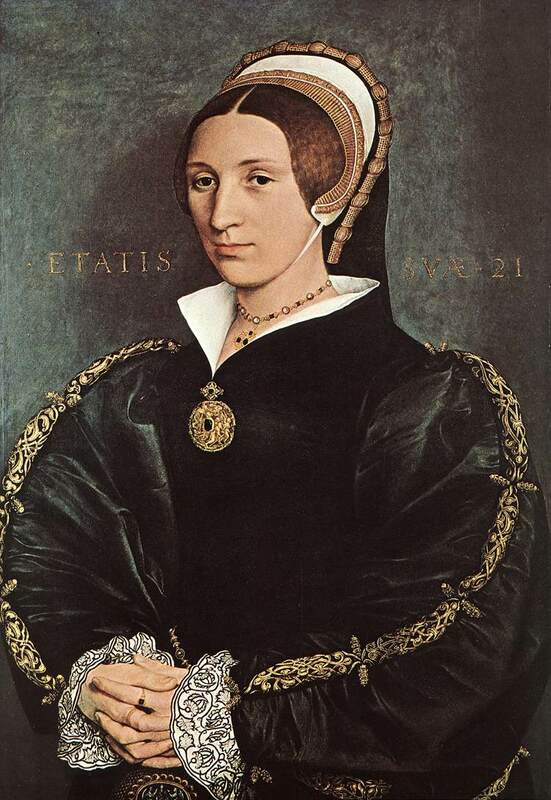 Catherine Howard was beheaded in Feb 1542. Henry was horrified and heartbroken, but he had not given up on matrimony. Unlike others who knew about Catherine’s past, Mary Lascelles did not spend any time in prison. Because she had brought the matter to light, the King intervened directly to prevent her arrest. Her brother John, however, fared less well. Five years later his zeal for reform led to his execution. He was burnt at the stake for heresy. Culpepper's position saved him from Dereham/Dorand's gruesome fate. This year on 13 Nov Sir Thomas Wriothesley, secretary to the King, came to Hampton Court to the queen, and called all the ladies and gentlewomen and her servants into the great chamber, and there openly before them declared certain offenses she had committed in misusing her body with certain persons before the king's time, because of which he there discharged all her household; and the morning after she was taken to Sion, with my Lady Bainton and two other gentlewomen and certain of her servants to wait on her there until the king's further pleasure. And various people were taken to the Tower of London, such as my Lady Rochford, Master Culpepper, one of the king's privy chamber, and others. On 1 December Thomas Culpepper, one of the gentlemen of the king's privy chamber, and Francis Dorand, gentleman, were arraigned at the Guildhall in London, for high treason against the king's majesty, in misdemeanor with the queen, as appeared by their indictment which they confessed to, and they were sentenced to be drawn, hanged, and quartered, the lord mayor sitting there as chief, the lord chancellor on his right hand, and the Duke of Norfolk on his left hand, the Duke of Suffolk, the lord privy seal, the earls of Sussex, of Hertford, and various others of the king's council sitting with all the judges also in commission that day. And on 10 December the said Culpepper and Dorand were drawn from the Tower of London to Tyburn, and there Culpepper, after exhorting the people to pray for him, stood on the ground by the gallows, knelt down and had his head struck off; and then Dorand was hanged, dismembered, disemboweled, beheaded and quartered. Culpepper's body was buried at St Sepulchre's church near Newgate, and their heads were set on London Bridge. A blonde bearded man, Sir John Gage, entered the room at Syon Abbey where Catherine was sitting looking out the window. It is mid morning on Friday 10 Feb 1542. Catherine had been beside herself with fear. However, now believing she was in control, pensively looked back over her life and the course it had taken. She no longer looked back retrospectively, but sat as in a trance unable to move, unable to think of that, which was looming over her. She had not heard the door open or the footsteps coming toward her. Sir John looked mercilessly upon this young, tiny form, “It is time to leave for the Tower. The barges are ready”. Catherine did not attempt to show acknowledgement of his words as every muscle in her body tightened and began to coil in fear. Her hands clenched in defiance, “No, no”. There was a moment’s pause and the silence was broken by Sir John, “It is late, the barges are ready and we must leave on the tide”. “No, no” muttered Catherine under her breath, in defiance”, I will not go, I will not go, you cannot make me. I will not go”. “My Lady, we can do this one of two ways, either you go with dignity or I drag you to the barge. One way or the other, you will go, and you will go now!” Catherine sat firmly in her seat with clenched fists and slowly the tears made their way out of her eyes and down her cheeks. Sir John went to lift her out of the chair and she immediately jumped up. “Do not handle me, I am still the King’s wife. I am able to walk without you or anyone holding me”. She composed herself for a moment. “Would someone fetch me my robe”. One of her Ladies brought the robe and placed it on her. She stared at the open door for a moment and slowly walked toward it sobbing loudly. All those around her quickly took their place as Catherine made her way down the narrow stone steps and out of the building. Catherine stopped and looked over the Thames River briefly and then started her journey down to Isleworth landing to the awaiting barges. She was not alone; Southampton; Suffolk; Sir John, a small group of ladies and guards flank her. It was a long walk and yet seemed to be over too quickly. Through her tears Catherine tried very hard to look at the trees, the path the sky. She knew with every step that she was getting closer to the end of her world. The trees were bare of leaf and looking like ghosts through the mist that was rising off the water. It was bitterly cold and the wind hit her face bringing a red glow to her cheeks. She was wearing a plain black dress, no jewellery and a cloak with hood to keep warm. Her reddened checks and pale skin peering out of the black hood added to the macabre feeling of the moment. Her diminutive form was incongruous to the male figures that escorted her. A rather pathetic procession made its way to the three waiting barges. Southampton was first in a great barge, with other councillors; Suffolk with his men came last in another great barge; and she in a small barge with a few ladies and guards. This ghostly trio of barges slid silently away from the bank and vanished slowly into the mist. Catherine huddled herself into a ball to keep warm. A large cloth was placed over her to ease away the cold of the day. She had pulled her knees up and placed her forehead onto them so that she could not see the river. She sobbed gently and tried to block out the thoughts. She tried desperately to pretend she was somewhere else and hoped in vain to come out of this terrible nightmare. Although her river journey included others she felt alone, very alone. To escape the moment she imagined herself under a tree at her Aunt’s house at Oxenheath. She would often sit with her forehead in her knees and pretend she was somewhere else. She suddenly took fright as Thomas Culpepper came around from the tree and jumped out in front of her. With a small cry Catherine lifts her head and looks around. Everyone on the barge was looking at her; she ignored them and with faraway eyes looked over the fields. She rubbed her shoulders to keep away the chill; she was composed and gently took on the view and surrounds and felt somewhat non-caring to where she is bound. She looked over the water and laughed gently to herself as she sees Thomas running along the bank. He is happy and she is delighted as he cartwheels and jumped in a clownish manner. All the while the sun is shining and she can feel its warmth and she slowly closes her eyes and lifts her face to feel the sun and receive its healing. A jolt nearly tips her out of the barge and she is brought instantly back. “Sorry My Lady, we have bumped into a log floating in the river. Are you hurt My Lady?” Catherine just looks away and down into the water. Once again she feels the cold, the bitter cold. She lowers her head onto her knees, “Do you remember when I would visit you at your Aunt’s house at Oxenheath?” Catherine looks up and Thomas is looking at her. “Of course!” “Look around, we are back there”. Catherine looks around and the air is sweet and warm. “Thomas, it is just as I remember. How beautiful”. “Remember when we would walk in the gardens and dream about the future and that one day I would take you away and marry you”. “Oh Thomas we were just children then with childish dreams. If only we could have those times again, to be a child again, and to feel free”. “Remember when we would pretend a wicked Lord had captured you and I was the shining Knight, Sir Thomas Culpepper who would come and save you, my damsel in distress”. “Yes, I remember, and I would hide behind a tree and call, Help me, someone help me. Will someone help me?” “What troubles you my pretty maid?” “I am a prisoner of a wicked Lord, please save me?” “Fear not, it is I Sir Thomas Culpepper. I will save you”. Thomas rushes toward Catherine and pretends to trip. He falls to the ground and Catherine would laugh at his antics. Thomas picks himself up and dusts his clothes, “My God, what demon prevents me from saving this fair maiden?” He then picks up a stick and uses it though it was a sword. “I will fight it off because there is no force in this world that will stop me from rescuing this lovely maid”.Catherine would start to run and pretend to be fleeing for her life. “Help me Sir Thomas, I am in the clutches of the most powerful evil lord he is taking me away. Save me, save me”. Thomas ran toward Catherine as fast as he could, take her hand, lift her up and carry her away. He would slowly place her back on the ground and with a curtsy Catherine would always say, “Kind Sir, I am yours and promise forever to love and obey”. Thomas replied, “We would then fall madly, instantly, in love and promise to never leave each other’s side”. “We have kept our promise, haven’t we Thomas? We have kept our promise, we have kept our promise” “My Lady, wake up, wake up, we are nearly there”. Catherine opens her eyes and repeats, “We have kept our promise”. "I beg your pardon, my Lady?” Catherine does not answer. She is now feeling not so alone as she believes Thomas is with her and he will give her the strength. As they glide under the London Bridge, Catherine notices the two heads impaled, one of Francis Dereham and the other of her Thomas. She did not flinch, there was no need for that as in her heart she knew Thomas was alive in heaven and that he is waiting for her. She started to look forward to being with him again. The barges stopped outside the Tower of London. They repositioned themselves as the door raised at traitor’s gate. The two barges ferrying the Lords entered first and then Catherine’s small barge entered last. They paid her as much honour as when she was reigning. They led her to the Queens House where Anne Boleyn had been imprisoned. After much debate, Sir William Kingston agrees to bring in the block for her to practice. Catherine remains motionless until the Constable leaves. Catherine moves slowly toward the block. Catherine looks at the block for a moment. Kneels down and then touches it. So this is where I lay my head for the last time. I wonder what the others thought before placing their head down. Strange really, but I am not afraid. This block holds no fear for me. She spends quite some time positioning herself, placing her neck several times down on the block, altering her position. Until finally, she can kneel, pretend to look up at a crowd, then with one move place her neck over the block.